Checklists describing the recommended procedures and airspeeds for coping with various types of emergencies or critical situations are located in the Emergency Procedures section. Some of the emergencies covered include: engine failure, fire, and system failure. The procedures for inflight engine restarting and ditching may also be included. Manufacturers may first show an emergency checklist in an abbreviated form with the order of items reflecting the sequence of action. Amplified checklists that provide additional information on the procedures follow the abbreviated checklist. To be prepared for emergency situations, memorize the immediate action items and, after completion, refer to the appropriate checklist. Manufacturers may include an optional subsection entitled Abnormal Procedures. This subsection describes recommended procedures for handling malfunctions that are not considered emergencies. This section begins with a list of the airspeeds for normal operations. The next area consists of several checklists that may include preflight inspection, before starting procedures, starting engine, before taxiing, taxiing, before takeoff, climb, cruise, descent, before landing, balked landing, after landing, and post flight procedures. An Amplified Procedures area follows the checklists to provide more detailed information about the various previously mentioned procedures. To avoid missing important steps, always use the appropriate checklists when available. Consistent adherence to approved checklists is a sign of a disciplined and competent pilot. The Performance section contains all the information required by the aircraft certification regulations and any additional performance information the manufacturer deems important to pilot ability to safely operate the aircraft. Performance charts, tables, and graphs vary in style, but all contain the same basic information. 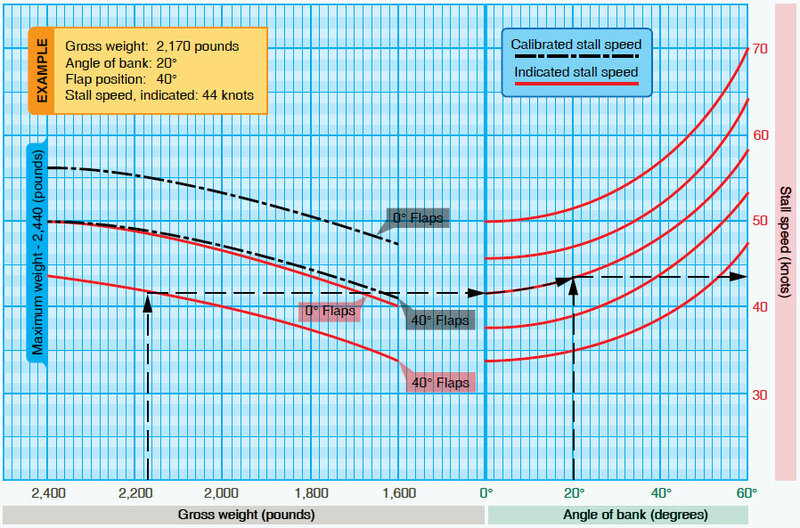 Examples of the performance information found in most flight manuals include a graph or table for converting calibrated airspeed to true airspeed; stall speeds in various configurations; and data for determining takeoff and climb performance, cruise performance, and landing performance. Figure 9-6 is an example of a typical performance graph. 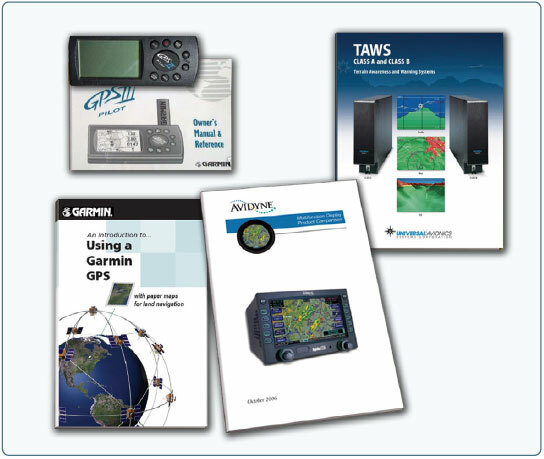 The Weight and Balance/Equipment List section contains all the information required by the FAA to calculate the weight and balance of an aircraft. Manufacturers include sample weight and balance problems. This section describes the aircraft systems in a manner appropriate to the pilot most likely to operate the aircraft. For example, a manufacturer might assume an experienced pilot will be reading the information for an advanced aircraft. The Handling, Service, and Maintenance section describes the maintenance and inspections recommended by the manufacturer (and the regulations). Additional maintenance or inspections may be required by the issuance of ADs applicable to the airframe, engine, propeller, or components. This section also describes preventive maintenance that may be accomplished by certificated pilots, as well as the manufacturer’s recommended ground handling procedures. It includes considerations for hangaring, tie-down, and general storage procedures for the aircraft. Figure 9-7. Supplements provide information on optional equipment. The Safety Tips section is an optional section containing a review of information that enhances the safe operation of the aircraft. For example, physiological factors, general weather information, fuel conservation procedures, high altitude operations, or cold weather operations might be discussed.